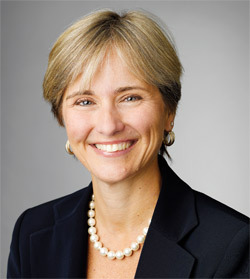 It is with pleasure that the National Safety Council announces the 2011 CEOs Who "Get It." This year's leaders represent national and international organizations of all sizes from a wide variety of industries and locations. These CEOs are guiding their organizations on the Journey to Safety Excellence and understand the crucial role leadership plays in creating a culture of safety. This leadership is demonstrated by visibly being committed to safety, engaging employees in safety at all levels and encouraging employees to take their safety knowledge home. Beyond leadership commitment, these leaders also demonstrate the other critical elements of the Journey to Safety Excellence – safety management systems, continuous risk reduction and performance measurement. Jeffrey M. Nodland, president and CEO of KIK Custom Products, makes it a priority to highlight safety milestones throughout his facilities and created the President’s Award to annually recognize the facility that best demonstrates KIK’s commitment to health, environment, safety, security and sustainability. The culture of safety encourages broad employee involvement through goal setting and performance tracking, as well as celebration of a job well done. Leaders incorporate safety management systems into their organizations not only because it is the right thing to do, but also because safety is valuable to business performance. Mohamed Al Khalifa, general manager of the Bahrain National Gas Co., uses safety performance indicators to develop corporate objectives, ensuring financial resources and manpower are available to meet or exceed safety standards. This year's CEOs have found their investment in safety management systems have resulted in significant reductions in lost work-time incidents, increased productivity and improved morale. These CEOs also are invested in continuously reducing risks and keeping employees and their families safe around the clock. Ann E. Massey, president and CEO of MACTEC Inc., recognizes safety as a 24/7 pursuit and has incorporated employee wellness into the organization’s safety program. John B. Hess, chairman and CEO of Hess Corp., says his organization emphasizes safety as a lifestyle. Employees are able to take what is learned about safety at work and use it to recognize and eliminate safety hazards in their homes and communities. These leaders recognize the need to have measurements in place to monitor progress so adjustments can be made as needed. Charles L. Harrington, chairman and CEO of Parsons Corp., conducts employee perception surveys as a leading metric to measure safety culture. Harold L. Yoh III, chairman and CEO of Day & Zimmermann, is notified when any lost-time incidents occur among any of his 24,000 employees located around the world. These CEOs want to collect and evaluate their organizations’ safety data to progress on the Journey to Safety Excellence. You have just read a few examples of how the 2011 CEOs Who "Get It" are improving safety within their organizations. As part of your Journey to Safety Excellence, I encourage you to learn from the stories they share on the following pages. I would like to personally congratulate this year’s CEOs for their dedication to safety and health. They truly are world-class leaders.